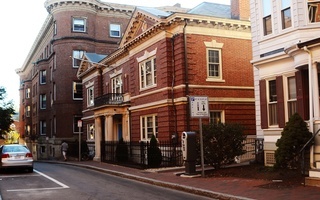 Harvard's Kappa Kappa Gamma chapter has a location on Church St. in Harvard Square. 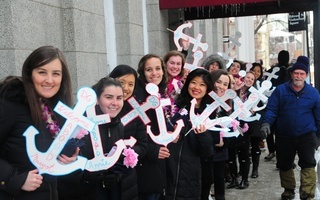 Members of Harvard’s chapter of all-female Kappa Kappa Gamma have disaffiliated from their national organization and formed a new gender-neutral social club called the Fleur-de-Lis, its president Tiana M. Menon '19 announced Monday. Kappa—the third sorority to come to Harvard—is the first campus sorority to go co-ed since the College announced its social group penalties in May 2016. The sanctions, which took effect with the Class of 2021, bar members of single-gender final clubs and Greek organizations from receiving campus leadership positions, varsity athletic team captaincies, and College endorsement for prestigious fellowships like the Rhodes. Menon directly attributed the group’s decision to go co-ed to the College’s penalties in an email Sunday. 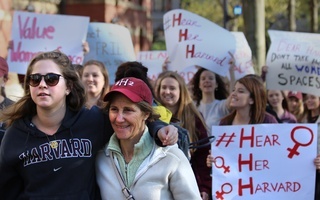 “The May 2016 policy presented the opportunity for our group to critically think and converse about our place on Harvard's campus and collectively determine our path forward,” Menon wrote in the email. Menon wrote that College administrators had played a significant role in pushing the group to adopt gender-neutral membership practices. Dean of the College Rakesh Khurana praised the club's decision to go gender-neutral in an emailed statement Monday. "This kind of positive change is made possible by our students' leadership in creating environments and cultures rooted in respect and inclusion," he wrote. "As members of this community, we all have an opportunity to strengthen our culture both for current students and future generations, and I applaud the Fleur-de-Lis on their efforts." Menon did not directly answer a question asking whether members of the Class of 2021 who join the Fleur will be subject to the College's penalties. She wrote in a press release on behalf of the group Monday that the Fleur will welcome the Class of 2021 by ensuring its members "remain in good faith" with the sanctions. The Fleur plans to hold its first round of recruitment, open to College students of all genders, in late January, Menon wrote in the press release. Though the Fleur plans to accept men, it will remain a “female-focused group,” according to the press release. Asked what that female focus might look like, Menon pointed to a Frequently Asked Question page on the Fleur’s new website. “We’re excited to welcome anyone to our recruitment process that is similarly excited, regardless of their gender,” the page continues. Though all-male social groups are immediately subject to the penalties, all-female groups will likely be allowed a five-year grace period as they transition to gender-neutral status under a recommendation accepted by Khurana in March 2017. That recommendation allows traditionally all-female final clubs and sororities to retain a “gender focus” for the next few years while complying with the sanctions. 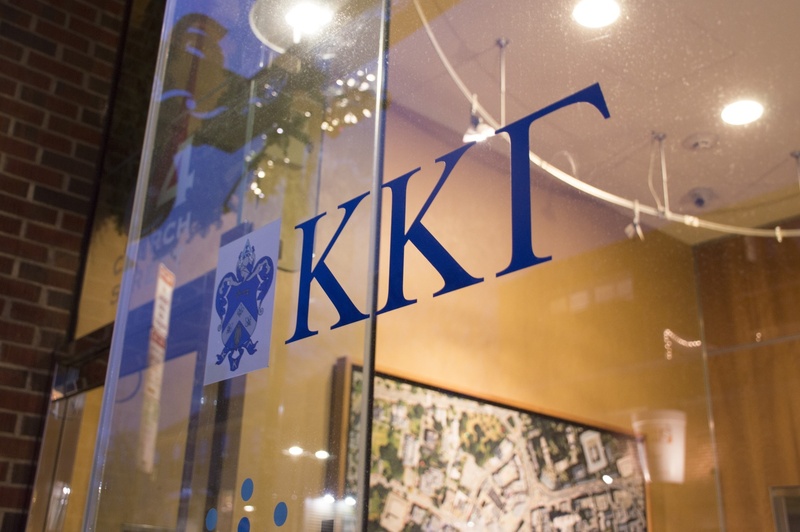 The Fleur’s decision to disaffiliate comes soon after Kappa Kappa Gamma’s national chapter announced it was “profoundly disappointed” in Harvard’s decision to ultimately pursue its social group policy. Though Harvard seemed to waver in its commitment to the sanctions over the past year, at times seeking to revise the penalties, the University officially adopted the policy in Dec. 2017 following a vote by the Harvard Corporation. In the wake of the vote, other campus sororities took a different approach, choosing to openly defy the College’s penalties. The Harvard chapters of Alpha Phi, Delta Gamma, and Kappa Alpha Theta announced in a joint statement in December that they would proceed with standard all-female recruitment in the spring 2018 semester. The Fleur's move to go co-ed and comply with the sanctions was not always certain, though—at one point in Sept. 2017, then-Kappa Kappa Gamma considered shutting down in response to the social group policy. The Fleur is not the first of Harvard’s formerly single-gender social clubs to go co-ed. Earlier this semester, all-male fraternities Kappa Sigma and Alpha Epsilon Phi broke ties with their national organizations to form the co-ed KS and the Aleph, respectively. The Oak Club, the Sablière Society, the Seneca, and the Spee Club all went gender-neutral over the past three years. 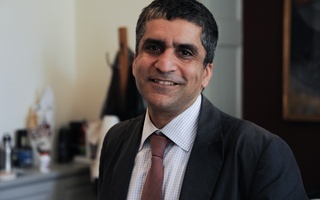 Khurana said in a Dec. 2017 interview that the College will release an official plan outlining how it will enforce the sanctions sometime in January or February.